It’s not Ringo or John or George—it’s me, the other Beatle Paul! 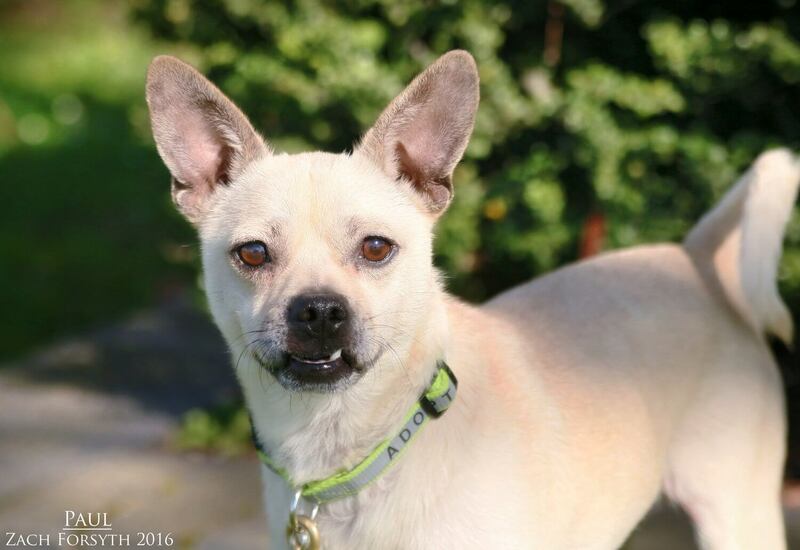 I am a 2 year old Pug/Chihuahua mix and boy do I love to “twist and shout”. When I get excited my whole back end wiggles! There is some nerve damage I received on my back end after possibly getting hit by a car, but I have recovered wonderfully. It doesn’t stop me from moving around or playing with my doggy friends, but I would prefer a home that doesn’t have a lot of stairs. I love cats, dogs, and people of all ages who can snuggle with me and give me lots of attention! I have been searching “Across the Universe” for my new home, so if you are interested in wiggling to the beat with me, fill out an application today so we can meet! I come to you neutered, vaccinated, and micro-chipped with an adoption fee of $250.